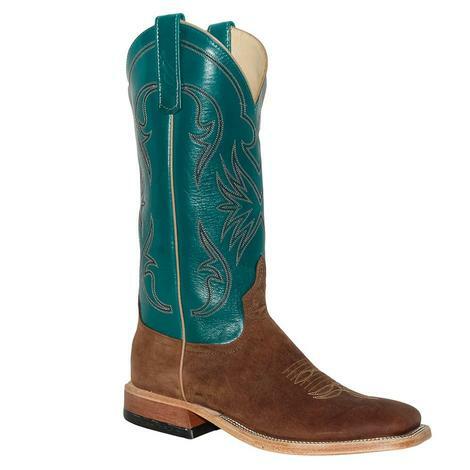 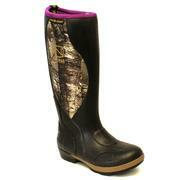 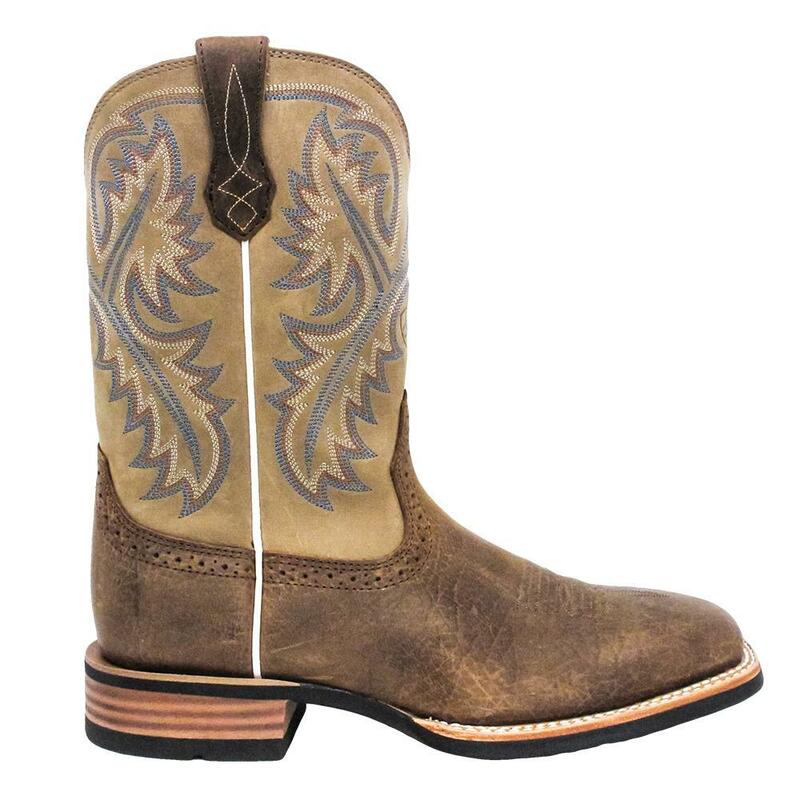 The Ariat Men's Quickdraw Western Boot is a rugged and handsome bark colored boot that stands up strong in the build. 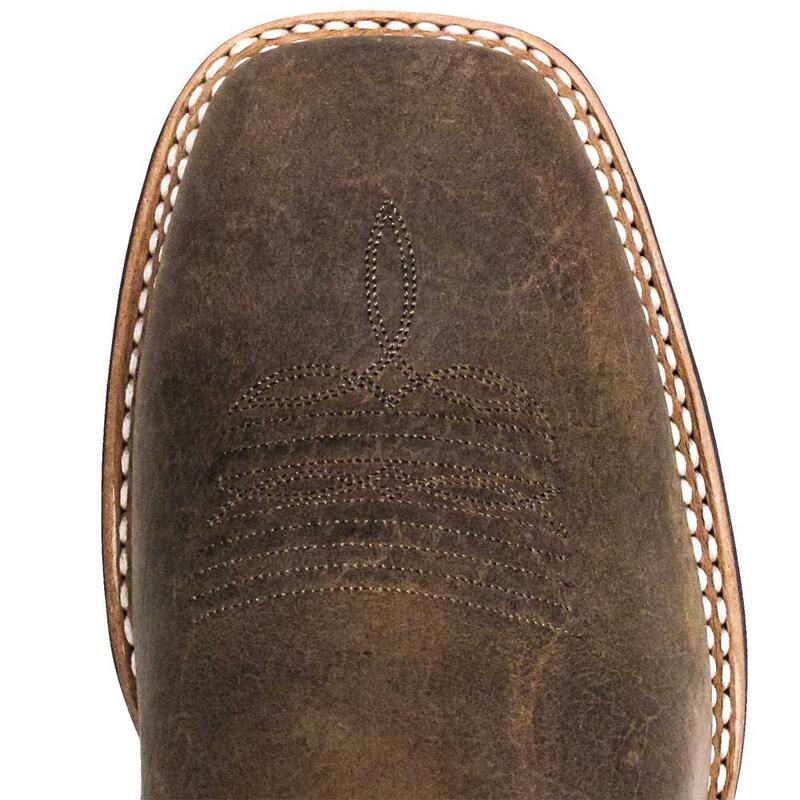 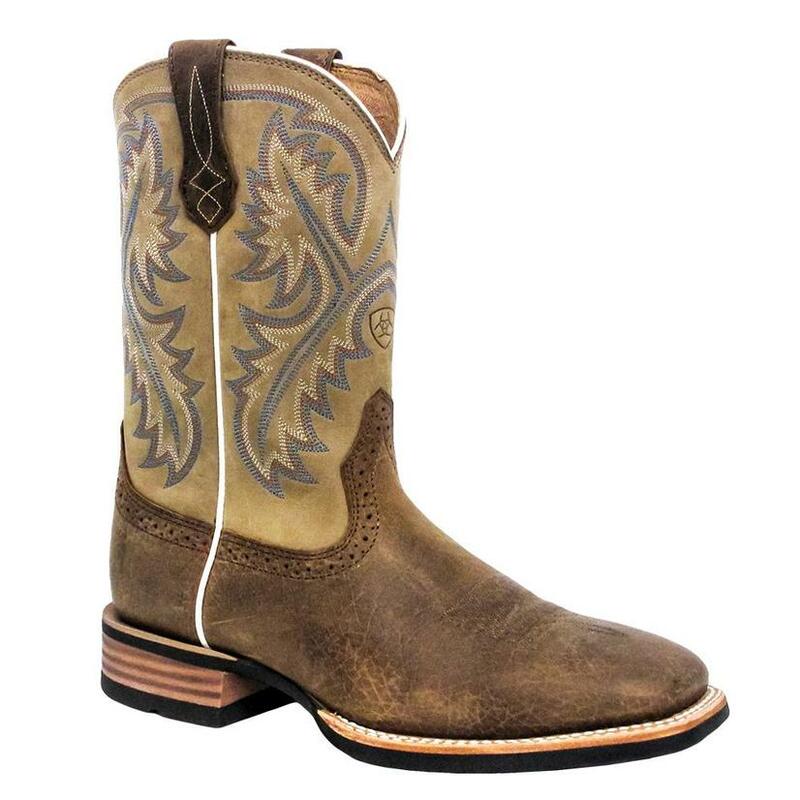 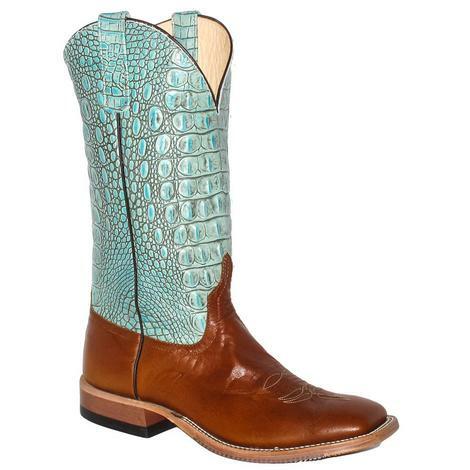 The 11" shaft is done in a beige ochre leather with blue, brown, and wheat fine stitched sticker leaf pattern including the Ariat embossment center shaft. 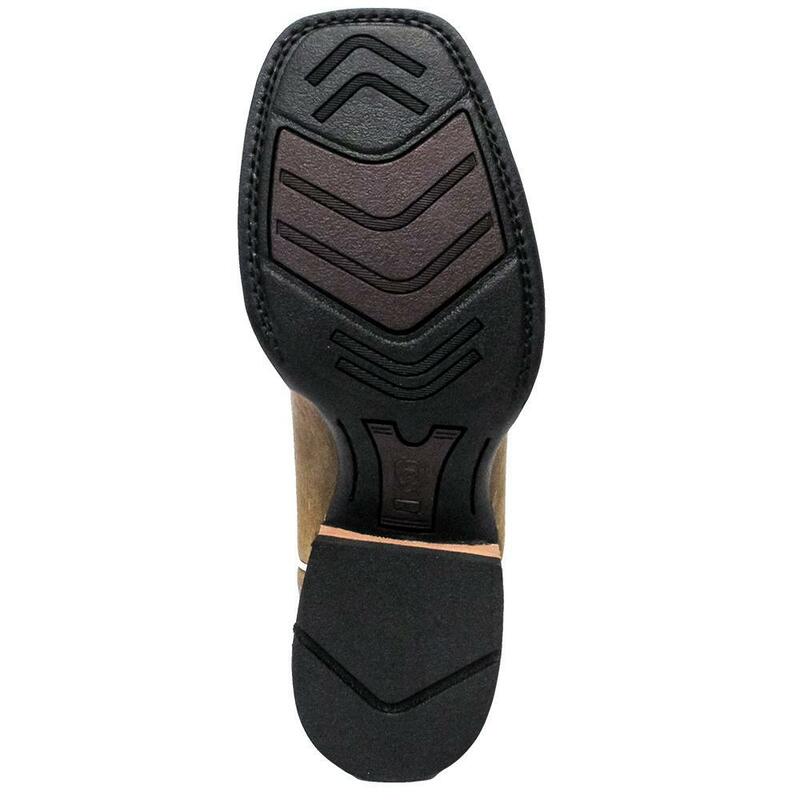 White piping runs over the collar as well as down each side seam to the soles and are built on a wide square toe with a roper heel.